​Have you ever tried having a conversation with someone whose eyes were fixated on the TV? Your conversation probably didn’t get very far. What if that person wanted you to see / join in what they were watching on TV, so they constantly shifted their eye gaze between you and the TV? They probably would have been able to take in more of what you were saying then. This is known as 'joint attention'. It’s the same with children. Joint attention is when a child divides their attention between an object and another person. For example, if your child looks at their toy bear, looks up at you, as if to say “look!” and then looks back at their toy bear, this is joint attention. When does joint attention develop? Children typically start to develop joint attention at the age of 9 months, and continue to do so until mastering the skill at the age of about 18 months. Why is joint attention so important? This shared attention and engagement serves as a foundation for learning - otherwise, learning doesn’t happen. Joint attention must be mastered for children to develop good communication, cognitive and social skills. On the other hand, children who have difficulty with joint attention will usually struggle with many areas of development. In children's development, non-verbal communication skills develop before verbal communication skills. Since joint attention is a non-verbal communication skill, it must be worked on before working on verbal communication skills in therapy. 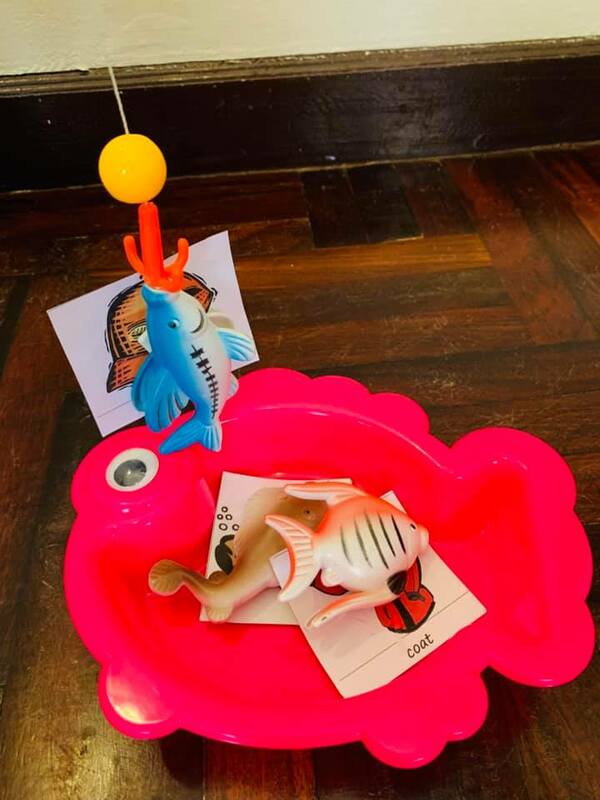 For example, your child will be more keen to interact with you when you show interest in the toy car that they are interested in - rather than the alphabet puzzle which you keep asking them to do. For example, if your child is interested in a toy, bring this toy slowly up to your eyes, and then slowly put it back down. This will help guide your child about where to look. Since you are starting with the toy that they are interested in, their eye gaze will likely follow your hand movements. For example, if your child is making car sounds while they play with a car toy, you can make car sounds too! Try not to break the momentum by placing demands on your child (e.g. "say car! say it!"). 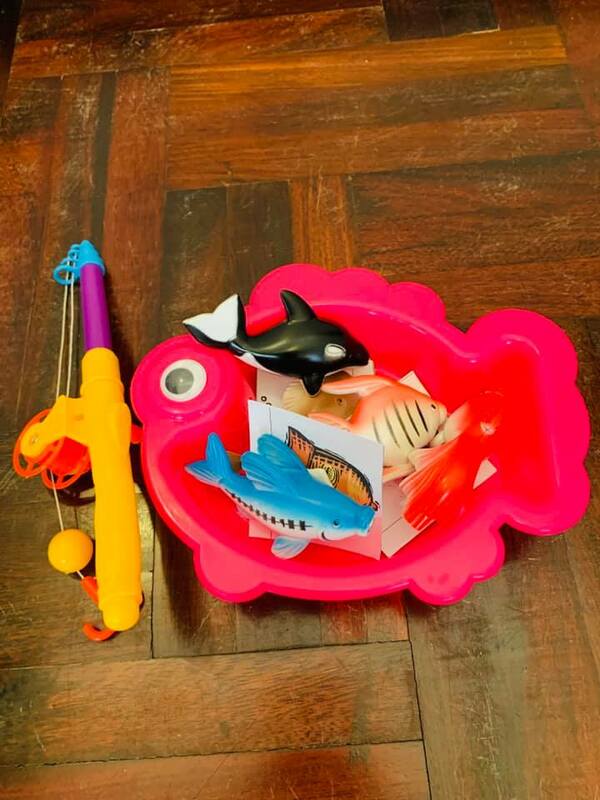 For example, your child might enjoy it when you make some animal sounds as you both play with the animal toys together. The aim is to achieve shared attention and engagement - not to force your child to say everything you want them to say. The greater the demands you put on them, the less motivation they will have to engage with you. I hope you find these tips helpful when working on your child's joint attention. Children love to play games. You can play many games with your child which create fun opportunities for supporting their speech development. When working on a child's speech, one of the tools I use are 'picture cards'. This is because most children learn better with visual support. Picture cards are simply cards with pictures of objects with the target speech sounds which a child is working on. For example, below are picture cards which I've used to teach children to say the 'c' sound at the beginning of words. 1. Word hunt: You can do this at home by hiding the cards around the room. When your child finds a card, they can practice saying the word in a short sentence with the correct sounds. 2. Games with counters: Start by turning the picture cards face down on the table. Take turns to flip a card over and place a counter (use a different colour for each person's counters) on the card when the sounds are produced correctly in the word. Once every card has a counter on it, count who has the most counters on the cards - that person wins. 3. 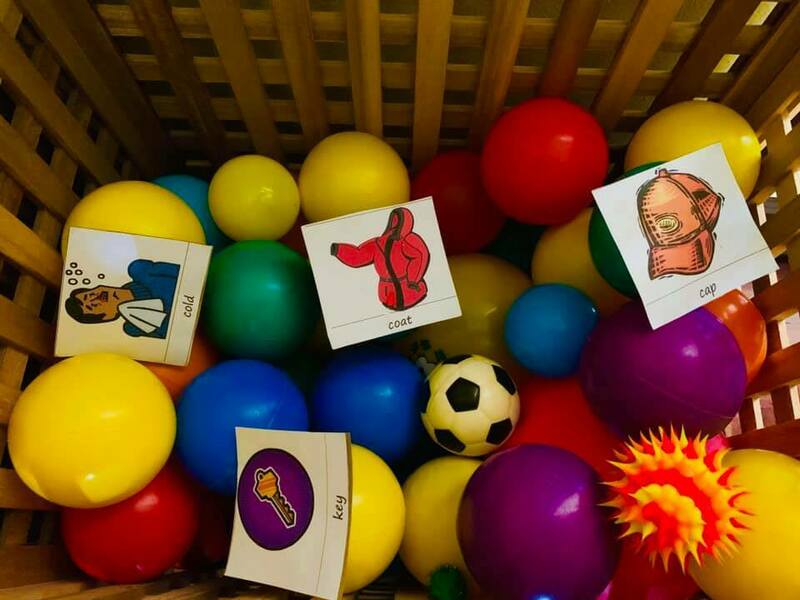 Ball games: Thinking of words that start with a target sound before taking a turn to throw / kick the ball. 4. Bowling: stick one picture card on each bowling pin. Each time your child takes a turn at bowling, they can practice saying the words on the pins that fall down. ​5. Post-it: Your child can make a 'post-box' at home, where they can 'post' a picture card each time they say the word correctly. ​6. Magic bag: You can start by placing all the cards in a bag. Then taking turns to pull one card out while closing your eyes. Practice saying the word on the picture cards in a sentence. 7. Fishing: Place a piece of Velcro on the back of each picture card and on the bottom of each fishing rod. Take turns ‘fishing’ for a picture card. Each time you catch a picture, practice saying the word in a phrase. 8. Memory matching: For this you will need two copies of the picture cards. Turn the cards over so that the pictures can’t be seen. Then take turns turning over two cards each, saying the words on each card and keeping the pairs that match. Playing games with picture cards are a great way to stimulate and support your child's speech development at home. Taking turns during these games will give your child constant modeling, as well as opportunities to practice saying their sounds correctly in words and sentences. Have fun and speak soon! Why Oral Motor Exercises Do Not Improve Speech - What You Can Do Instead. In my first post this year, I want to address a question which parents often ask me: "do​ non-speech oral motor exercises improve speech?" What are Non-Speech Oral Motor Exercises? - actions of the lips, jaw, tongue, soft palate, larynx and respiratory muscles (e.g. ‘blowing a horn’, ‘sucking on a straw’ and ‘blowing bubbles’), which aim to improve strength, range of movement or coordination. Do These Exercises Work? What Does The Research Say? Even though these exercises are commonly used, there is no scientific evidence proving that non-speech oral motor exercises improve speech. Picture yourself training to run a marathon. You stretch your limbs daily and do muscle-strengthening exercises, however, you never actually practice the act of running. It would not be reasonable for you to expect that your daily stretching and strengthening exercises will improve your running, because you haven’t actually done any running. The same goes for children who are working on their speech. For a child’s speech to improve, the child needs to practice the act of speaking. - There are differences in the neural system’s organization for non-speech oral-motor tasks vs. speech (Moore & Ruark, 1994). - Oral-motor exercises lack generalization to speech, because they focus only on a ‘fragment’ of the complex act of speaking (Lof, 2003). 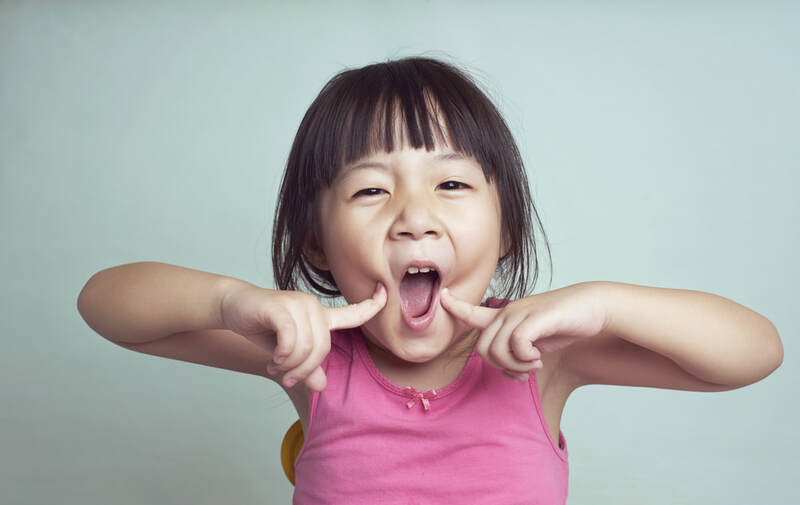 - Oral-motor exercises focus on increasing oral-muscular strength, however, many children who have Apraxia of Speech or Cleft Palate exert the same amount of force when using their jaw and lips as children with typically developing speech (Forrest, 2002). So Then, What Will Improve My Child’s Speech? 1. Speech Practice - For a child’s speech production to be improved, the child needs to practice speaking. This can be done during Speech Therapy or during practice at home. You can read more information about working on speech at home by clicking here. 2. Functional Practice - If your child is not talking yet, start by working on the most important words that they would need to be able to say at this stage. Functional words include (but are not limited to): ‘no’, ‘yes’, ‘go’, ‘eat’, ‘water’, ‘more’, ‘help’, ‘hurt’ and ‘more’. Functional words like these are likely to have the most impact on your child’s daily life, at this stage. 3. Short Practice - Recent evidence has shown that short bursts of practice are more effective in improving speech than practice for long periods where children are likely to become fatigued and bored. 4. High-intensity - Evidence shows that intensive practice which involves lots of repetition of the same words and phrases is likely to result in better speech outcomes. 5. Fun Practice – Speech practice can involve movement (e.g. treasure hunt to find target word cards), games (e.g. memory game with picture cards) and involve rewards (e.g. verbal praise / tangible rewards). As a parent of a child with speech difficulties, you want the best available therapy for your child that has been scientifically proven to improve speech. You can always ask your child’s Speech Therapist about the scientific evidence behind the method used in your child’s speech sessions. In the meantime, you can read about how to help your child with their speech at home on my website by clicking here. © Copyright 2019. The Expat Speechie www.theexpatspeechie.com. All Rights Reserved. Forrest, K. (2002). Are oral-motor exercises useful in the treatment of phonological/articulatory disorders? Seminars in Speech and Language, 23 (1), 15–25. Lof, G. L. (2003). Oral motor exercises and treatment outcomes. Perspectives on Language Learning and Education, 10 (1), 7–11. McCauley, R., Strand, E., Lof, G.L., Schooling, T., & Frymark, T. (2009). Evidence-based systematic review: Effects of nonspeech oral motor exercises on speech. American Journal of Speech-Language Pathology. 18, 343-360. Every child has the right to a voice. Childhood Apraxia of Speech (CAS) can make it really hard for a child to speak and to be understood by others. About one third of the children I work with each week have CAS. They range from the age of 3 years to 17 years; they are each unique in their own way. So, this month, let's talk about CAS. CAS is a motor-speech disorder where a child has difficulty connecting speech messages from their brain to their oral articulators (lips, tongue and jaw). This disruption between the brain and mouth can make it really hard for a child to speak - even though they know exactly what they want to say. CAS is often also referred to as ‘Verbal Dyspraxia’. A Speech Language Therapist can diagnose CAS. Scientific evidence shows that Speech Therapy is effective for CAS. Speech Therapy should address both short-term and long-term improvements in your child’s communication. If your child is non-verbal, or very hard to understand, it is very important that they are given / taught an alternative method to communicate while they work on their verbal skills. Alternative means for communication can include (but are not limited to) sign language, picture boards or using an Applications on a tablet. These alternative means for communication will act as your child’s voice while they work on developing their verbal skills. These alternative means to communicate are also likely to reduce frustration which your child may experience because of not being able to communicate verbally. Long-term objectives usually involve a focus on your child's motor-speech / verbal skills. I have seen many children with Apraxia make wonderful progress with the PROMPT Method. You can read more about the PROMPT Method here. I want to end this post by saying, no matter how old your child may be, please do not give up hope on their ability to speak, or to learn to communicate with others meaningfully by using an alternative communication method. I have been blessed to witness children saying their first words well into their teenage years... I have also been part of the journey of teenagers finding their voice through an App. Nothing is more rewarding than helping children find their own voice. © Copyright 2018. The Expat Speechie www.theexpatspeechie.com. All Rights Reserved. Early Intervention: What is it and why is it so important? The first half of this post will be a bit more informational and the second part are responses to some commonly asked questions that I get from parents. Early Intervention is a broad term that refers to various therapy and education services for infants and toddlers who have delays or disabilities. Early Intervention can also be provided to children who are “at-risk” due to preterm birth or low birth weight. 2) mitigate challenges or “secondary disabilities” that may develop later on because of the child’s disability. Early Intervention is based on the assumption that children can adapt to their environment despite their challenges and condition. Therefore, it is important that the professionals who work with your child adopt this assumption as well and use a strengths-based approach in their work (focusing on the strengths and positives, not just the deficits). Early intervention is still considered a relatively new and evolving field, even in countries like the United States. With recent research on brain development, we are learning more about the amazing capacity of infants to learn about the world even at birth. Early childhood is a period when brain development takes place at a rapid rate and is now known to be a critical time in human development. For this reason, Early Intervention has become more of a focus in recent years. The important point to remember about Early Intervention is this: The earlier we “intervene”, the less effort is needed to influence the brain’s ability to be shaped by experiences. So… intervening early is a good investment. Early Intervention might look different depending on where you live, since the system for children and family-related services is heavily shaped by social, cultural, and political factors. In some countries, such as Australia, Early Intervention services are publicly-funded and of no cost to families. In other countries, such as Thailand, parents may have to seek supports and services on their own from the private sector. Early Intervention can follow different formats and take place in different settings, such as, child care programs, nursery school, preschool, direct intervention in the child’s home, therapy at community clinics or hospitals, parent coaching and training programs. There are many variations to how Early Intervention is provided to families across countries. In my experience, Early Intervention is typically delivered in the family’s home or in other “natural settings” where other children (without disabilities) spend a lot of time such as, child care centers and preschools. Early Intervention sessions usually involve a specialist working with both the parent and the child on important developmental skills. Highly-qualified professionals know a lot about typical child development, atypical child development, and ways to effectively support a child’s learning and development. A highly-qualified Early Intervention professional is knowledgeable and understands how children learn and they are effective in transferring this knowledge to parents. Who benefits from Early Intervention? For a child who is diagnosed with a disability, Early Intervention is important because the way in which the child learns best and the rate that they learn may require specialized knowledge, specific intervention strategies and specialized approaches. For example, children with Autism are most likely to benefit from programs that are comprehensive, intensive, and focused on key areas that are delayed in Autism (communication, play, and joint attention). Specialized knowledge and intervention strategies are particularly important when the child’s parent or caregiver has limited information about their child’s diagnosis. Support from a qualified professional is required for the child’s optimal health and functioning. Many Early Intervention programs and models in the United States, such as Routines-based Intervention (McWilliam, 2015), stress the critical role that Early Intervention professionals play in building capacity of parents and caregivers to embed learning opportunities into naturally-occurring daily routines to optimize child learning and development. Although the end goal of Early Intervention is to promote optimal child development, parents and caregivers have become an essential part of the process and have therefore, become beneficiaries themselves. For children whose development is “at risk”, Early Intervention is particularly important, given the vulnerability of brain development during the first few years of life. What should I look for when seeking out Early Intervention services for my child? If you do not feel like the professional you are working with is providing you with the tools to accomplish the objectives above, please talk to them about it. Alignment of expectations and goals is critical to the success of the intervention. Feel free to discuss this even before you start receiving services by being open and honest about what you are expecting from the professional you are working with. It may feel uncomfortable at first, but aligned expectations and goals will ensure a more successful intervention program for your child. I have some ongoing concerns about my child’s development. Should I just wait and see how things turn out before doing anything? The short answer to this question is no. Time is precious, especially in early development. Taking action earlier on does not mean that your child will end up being diagnosed with a disability. Sometimes, children are delayed in some areas but with enrichment activities to promote that specific area of development, they are able to catch up. A lot of professionals ask me if they should mention anything to parents when they notice delays and my answer is always, YES! The conversation does not need to imply that something is “wrong” with the child. Given our understanding of the importance of early childhood, adults need to be responsible for supporting the child in any way they can to help them develop to their fullest potential. What’s the danger in waiting? If your concerns are minor (e.g. 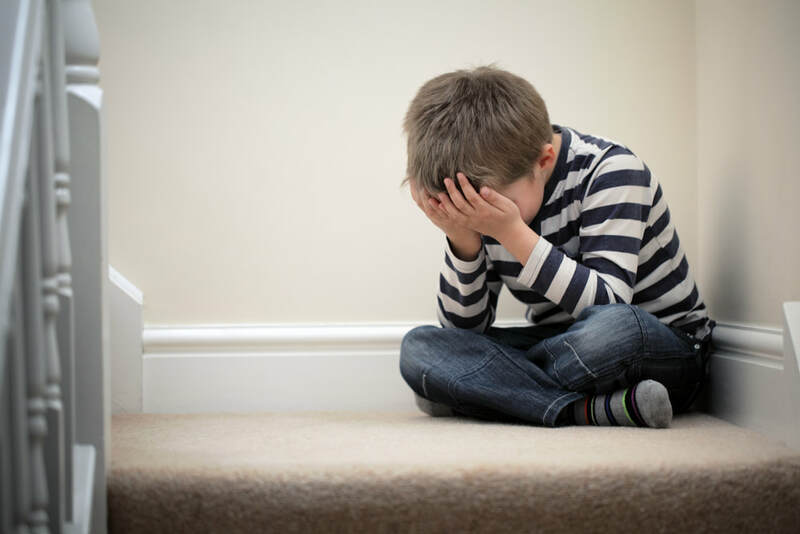 you wonder if your child is crying more than usual, or you notice that your child is not reaching yet), there may be no imminent danger in waiting a little while. However, there are certain “red flags” that are cause for more concern and you should explore these concerns NOW. Although all children reach developmental milestones at different ages, there are general trends (an expected sequence) that is common in early development and should be monitored. For example, if your child is six months old and (1) is not lifting his head up when on his stomach, (2) moving his body in a more coordinated way, or (3) looking at you, smiling, or interacting in the way that other babies are, then you should seek out advice from a specialist as soon as possible. Or, if your child is two years old and has not spoken a single word yet, see a specialist as soon as possible. When you bring these concerns up to others, some people might tell you, “oh, your brother/sister also spoke late, don’t worry”, or “he’ll grow out of it”, but if you feel in your gut that something is not right, trust your gut. A parent’s intuition is usually right. An important principle in child development is that children learn through repeated interactions, over time. The benefit about taking action earlier is that you have more time to influence your child’s learning and development. As the brain develops in early childhood, there is something that happens to brain cells called, “synaptic pruning”, whereby whatever unused networks in the child’s brain will prune away to make room for other networks that are more frequently used. When we have concerns about a child but choose to wait, we miss out on opportunities to positively influence a child’s development. A good place to start would be to arrange a Developmental Assessment for your child. This can be done by a Clinical Psychologist, Child Developmental Specialist or a Multidisciplinary Team. The outcomes of the Assessment will provide a picture of where your child is at in different developmental areas (communication, motor-skills, etc.). These findings will be used to identify potential goal areas for your child’s Early Intervention program. If you cannot find a Clinical Psychologist, Child Development Specialist or multidisciplinary team, you can ask your child’s Pediatrician or other medical professionals. In Thailand, it is common for services for children with disabilities to be provided by the medical field. However, it is important for parents to know that accessing services at hospitals is NOT your only option. There are many public institutions that provide Early Intervention services, as well as providers in the private sector. You may want to contact organizations like the Rainbow Room (https://www.facebook.com/specialrainbow/) to inquire about service providers in your area. Do some research, go out and visit as many places as possible, speak to as many professionals as you can, seek out consultation and advice from professionals, and have conversations with your family about what you want for your child. Services should align with what your goals and priorities for your family are. What if no one believes me? Find someone who does! Continue reaching out and connecting with as many people as you can. You will find someone. Emotional support is one of the most important things. I hope you found this article as helpful and informative as I did! Bruder, M. B. (2010). Early childhood intervention: A promise to children and families for their future. Exceptional Children, 76(3), 339-355). Gray, R. & McCormick, M. C. (2005). Early childhood intervention programs in the US: Recent advances and future recommendations. The Journal of Primary Prevention, 26(3), 259-278. Guralnick, M. J. (2001). A developmental systems model for early intervention. Infants and Young Children, 14(2), 1-18. Guralnick, M. J., & Albertini, G. (2006). Early intervention in an international perspective. Journal of Policy and Practice in Intellectual Disabilities, 3(1), 1-2. Meisels, S. J., & Shonkoff, J. P. (2000). Early childhood intervention: A continuing evolution. In J. P. Shonkoff, & S. J. Meisels (Eds. ), Handbook of early childhood intervention (2nd ed.) (pp. 3-31). New York, NY: Cambridge University. Ramey, C. T., & Ramey, S. L. (1998). Early intervention and early experience. American Psychologist, 53(2), 109-120. I was diagnosed with ADHD at the age of 31. Growing up in a country in Asia, my parents didn't know what ADHD was. I was often labelled the 'naughty', 'careless', 'wreckless' and 'messy' child. However, after learning more about ADHD, I can now reflect back on different stages of my childhood and adolescent years and understand how the signs, symptoms and behaviours for my case have presented themselves and how it affected me. ​Needless to say, on many occasions, my inability to remain still and pay attention meant I was strongly disciplined for being ‘naughty’ and was often punished by my parents. Throughout my schooling, I recall challenges learning subjects that involved abstract concepts, organisation, prioritisation and problem solving, particularly science and maths. Organising complex ideas for essays and university assignments were troublesome, in my case essay writing took longer than my peers to complete. I felt as though I had to work extra hard just to get the job done. Poor self image and self esteem began to creep up on me, leading me to feel shame and anxiety. While I confided in friends and family to discuss my challenges, I often found it difficult to sustain my train of thoughts to resolve them. It wasn’t until I found myself in a stressful working environment where I really struggled to cope, that I decided I really needed to get to the bottom of my issues. I decided to see a psychiatrist for what I thought was work related stress. However, as our sessions continued each week, we explored the reasons behind my stress. It became apparent that the difficulty I faced at work was compounded by my struggle to concentrate, remain focused on the task, prioritise, organise and manage my time. It also didn’t help that I can be forgetful, messy, and impulsive; suffered from poor self image and mood swings from time to time. While these traits can often point to other mental health conditions such as anxiety or depression (conditions to which individuals with ADHD are vulnerable to) my diagnosis for ADHD was confirmed after completing the TOVA assessment under the advice of my psychiatrist. Reflecting on my experience, my message to parents and teachers is: take notice of the signs and behaviours your child exhibits. If you suspect that your child is suffering from the challenges associated with hyperactivity, inattentiveness and impulsiveness speak to a qualified therapist and have your child assessed. Not doing so could mean that your child will struggle to live up to their true potential, or take advantage of some the positive qualities associated with ADHD. Fortunately for me, I now understand my struggle and also enjoy the unique qualities that come with my ADHD. But that is perhaps a topic for another day! As a parent, you can use books to develop some of your child’s important social and language skills. You can use books to develop your child’s ability to attend to you and the object of their interest (in this case a book). Joint Attention is such an important skill to work on because it is necessary for any learning to happen. How to do this: Sit face to face with your child and place a book in the middle, with the book upside down to you. To increase your child’s engagement, follow your child’s lead with the book, allow them to spend as much time as they like looking at pages of interest while you make comments on what they can see. Occasionally, raise the book to your eye-level to guide your child’s gaze towards you during the interaction. Sustained Attention is another important skill you can work on with your child using books. To improv your child’s Sustained Attention, engage your child in activities involving books and gradually increase the length of these activities over time. How to do this: You can start with reading one page of a book your child is interested in on Monday, increase it to two pages by the middle of the week, then three pages the following week, and continue to increase the number of pages over time. Books are great for teach in your child early social skills like turn-taking and sharing items. How to do this: You can take turns with your child to hold the book, turn the pages, point to pictures, make comments on what you see and to read words. Books can be used to expand your child’s understanding of words, concepts and the world around them. How to do this: As you look through a book with your child, describe / comment on what you see while pointing to the pictures. You can use emphasis and repetition to help your child understand new concepts. For example, if your child points to the picture of a dog inside a box, you can say “dog in the box... in”. You can use books to improve your child’s phrases and increase the length of what they say. How to do this: While you look through a book with your child, model words which your child may not have yet, and expand on what your child says. For example, if your child points to the Humpty Dumpty in the book and says “fall”, you can expand on this with a longer phrase like, “Humpty Dumpty fell”. Books can be very useful for teaching your child many social and language skills. In this post, I’ve included just a few of them. Applied Behaviour Analysis (ABA) is a controversial therapy approach. Some parents and therapists love it because of the positive outcomes they have seen on behaviour, but others don’t want anything to do with it (to put it nicely!) because of its structure and ridgidity. 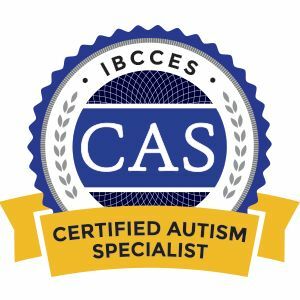 But over the years, the more I work with children who have Autism, each of them so unique, the more I crave filling my therapy toolbox with a range of different therapy approaches. There is no such thing as a child who “does not respond to therapy”- it is more likely that the child is just not responding to the therapy approach being used at that time. So, earlier this year, I decided to add another therapy approach to my toolbox by completing training in ABA. I was pleasantly surprised that there were so many great insights. A good start to addressing a ‘problem’ behaviour is to understand its function or why it is happening. For example, a child might seem to be screaming constantly for no apparent reason, but when looking at the situation in more detail (by identifying what happens just before the child screams, what happens right after they scream), the reason will become clearer. This type of assessment is called a ‘Functional Behaviour Analysis’. Once we understand the function of the behaviour (i.e. why the child is doing something), we can teach them more ‘appropriate’ behaviours that can still achieve the same function. For example, I worked with a child who would scream whenever he was given a toy car. After looking into this further, it became apparent that this child dislikes toy cars, and was screaming to avoid the toy car. This child was then taught to say “no” every time he wanted to refuse the toy car. Eventually, the child started saying “no” to refuse unwanted toys, instead of screaming. Children with special learning needs can have difficulty with activities which are important for everyday life. These activities are often complex, involving several steps, and can be quite overwhelming for a child with Autism. ABA gives insight into how to teach these complex tasks by breaking them down into simple, separate steps and giving positive reinforcement (e.g. praise) after each step is completed. The positive reinforcement is gradually faded, as the child can complete each step independently. Children with Autism tend to respond well to this systematic approach. Children are so clever. From a really young age, they learn that a behaviour will either get them what they want, or lead to an unwanted outcome. ABA highlights how to respond to behaviours so that they are repeated (if appropriate) or faded (if unwanted). For example, when a child cries because they want candy and then they receive candy. In this case, giving the child the candy will stop them from crying in the moment, but it will also encourage the crying behaviour every time they want candy! On the other hand, if a child does their homework and gets iPad time as a reward, this iPad time is likely to motivate the child to do their homework again in the future. I now appreciate having ABA as another therapy approach in my toolbox and can already see the positive impact it is having on some of the children I work with. A therapist should always choose the therapy approach that a child responds to best. I believe that every child can make progress when the right therapy approach for them is used. ​Anonymous parent of a child with Autism. “NO WORDS can describe how I felt when I knew that my son has Autism. But being depressed about it won’t change anything. So my husband and I tried to get all information of what to do. My son had a communication and social problem. We were really lucky to have started with really supportive Therapists. We did the early intervention really fast, but we also learned that we as parents and everyone around our son had to help out too. For 3 years our son was in his own little world, he was stimming, singing and avoiding all eye contact. But slowly he started to change. I believe he has been trying. He needs a little time to find his way towards us. I believe that he had, and still has sensory issues from noise, touch and taste. All of that is quite overwhelming for him. So we did our best to get all the help he needs. It has been 3 years going to Speech, Floortime, OT, Sensory Integration and Social Therapies. Every month, our son started to change, bit by bit. Yes, there were up and downs. But his hard work paid off. He started from telling us what he wanted, toy, apple, toilet and of course, iPad. Every single year he improves. But this year is his eye contact. I guess only parents who have a special, beautiful child would understand how I feel. Anonymous parent of a child with Autism. Founder of Autism Awareness Thailand & Clinical Director at Little Sprouts Children’s Centre. Parent of a child with Autism. Founder & Director of Steps with Theera, a vocational training centre for young adults with special learning needs. 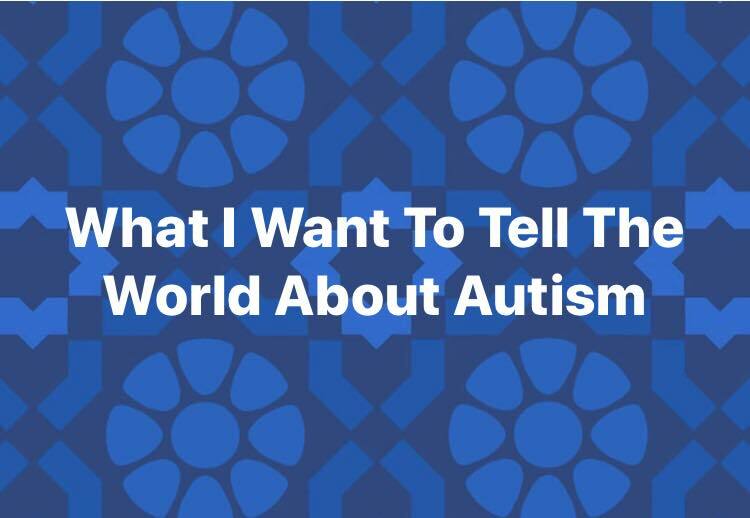 “What I want to tell the world about Autism is that the saying is true, once you have met an individual with Autism, you have only met one individual with autism. Centre for Autism Recovery & Education (CARE). PROMPT - What All The Fuss is About! It is truly amazing what parents will do for their child. 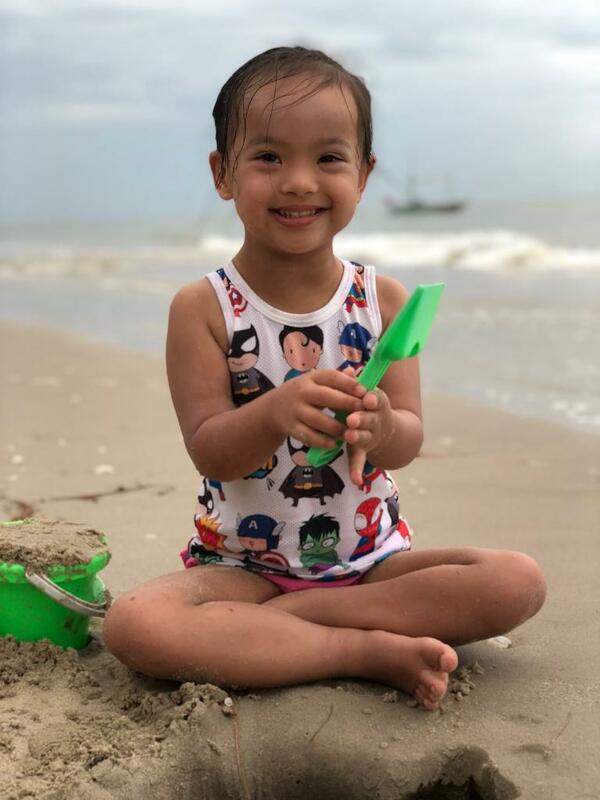 Last year, I met a family in Thailand who told me that they had moved to the US for one year so that their child could receive a specific therapy called PROMPT. When we met, PROMPT was not available in Thailand, so this family asked if I was willing to travel overseas to do the training. A couple of weeks later, I found myself on a plane to Australia to get trained in PROMPT. Fast forward to a few months later, I am now using PROMPT with many of the children and teenagers who I’m working with. Some of them have made absolutely incredible progress. For example, after just a few months, a non-verbal teenager can now say a range of words and even combine two-to-three words together in phrases! PROMPT is a type of speech therapy. PROMPT stands for Prompts for Restructuring Oral Muscular Phonetic Targets. 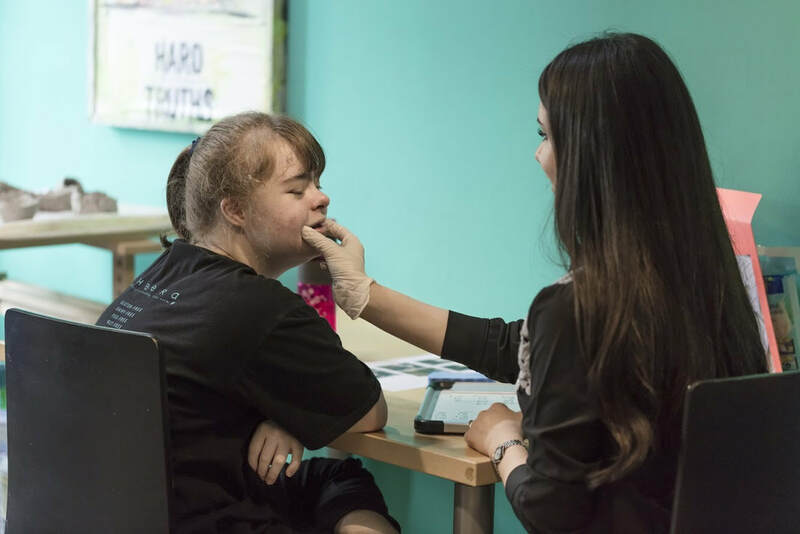 Basically, the Speech Therapist uses touch and pressure specific points on your child’s face to activate certain facial muscles, and guide the movement of their jaw, lips and tongue. There is a different PROMPT for each sound in English, and in most cases, a sound can have more than one type of PROMPT. PROMPTs can be used to ‘re-write’ old motor-speech patterns or develop new motor-speech patterns. What makes PROMPT different to other therapies? Compared to other therapies, PROMPT works better to improve speech because it gives more support through the additional element of touch. Not all children respond equally well to learning speech by listening (auditory cues) or by looking (visual cues). But when these two cues are combined with PROMPTs (touch cues), the child has something which they can feel, physically guiding their face to move from one sound to another to make words. How is PROMPT used in a session? Firstly, your child will learn to say target words with the support of PROMPTs applied to their face. This is done through repeated practice, which re-writes old motor-speech patterns and allows them to learn new ones. Then, your child will learn to apply these words practice in activities which require turn-taking. This second step helps them to apply what they have learned to interactions with others and will help them generalize their new speech skills to daily interactions. Who can benefit from PROMPT? The great thing about PROMPT is that it can improve the speech of both children and adults with a range of difficulties. I use PROMPT with children and teenagers with Speech Sound Disorders, Autism, Developmental Delays, Apraxia, as well as non-verbal children and teenagers. PROMPT can also be used to improve the speech of children and adults with a hearing impairment or to modify accents. I am really thankful for this family who helped bring PROMPT to Thailand and for the wonderful impact it has made here so far. Introduction to PROMPT Technique Workshop: Manual Australian Version. (2014). The PROMPT Institute. P.H.C Inc.